For today's travelers, globetrotting isn't just about checking off the "top 10 must-sees" in each destination — it's about getting a true sense of local culture. To help travelers experience their chosen destinations through a local's perspective, expert concierges from the Summit Hotels & Resorts collection offer insider tips on what to see and do in major cities worldwide. From foodie finds to specialty boutiques, the advice below will undoubtedly add local flair and memorable moments to any itinerary. Summit Hotels & Resorts offers 140 member hotels that are centrally located in top cities in 35 countries. Situated next to the 798 Art Zone within the sprawling INDIGO project, EAST is Beijing's most vibrant hotel, offering a plethora of entertainment, both on-site and nearby, to satisfy a traveler's every whim. 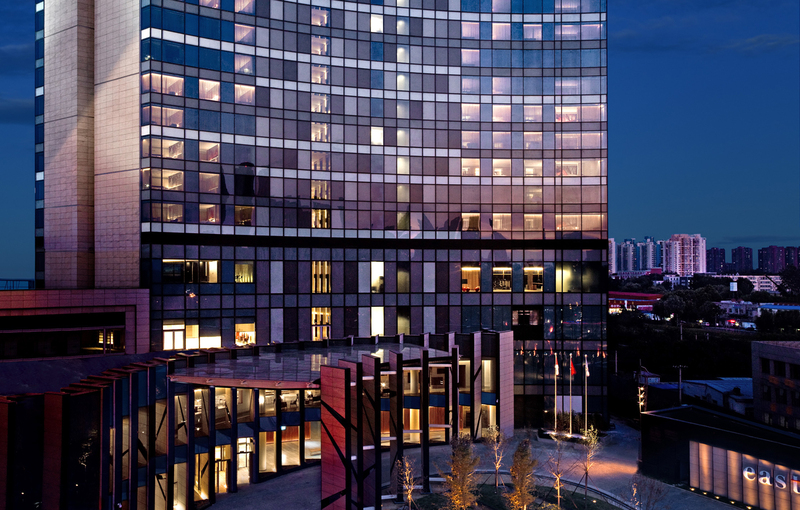 High-tech amenities and sweeping views of downtown Beijing are standard benefits of every guestroom. • Concierge tip: Guests who want to experience a local favorite are sent to Dawanchu (19 Jiangtai West Rd. ), a neighborhood gem that serves farmhouse-style dishes inspired by traditional Chinese medicines. This European-style 98-room West Hollywood hotel recently completed a $5 million renovation that included completely revamped public spaces and new themed suites, such as the Entertainer Suite that offers a private 225 square-foot balcony. Other guest perks include a rooftop deck featuring a heated saltwater pool and pet-friendly programming. • Concierge tip: Bypass The Grove shopping center and visit small boutiques on West 3rd St. such as Pyrrha, which sells silver, bronze, and gold handmade talisman jewelry cast with 19th century wax seals. The third most populated city in Brazil, Belo Horizonte has been called "the metropolis with the best quality of life in Latin America" by the United Nations. Ouro Minas Palace boasts the city's largest presidential suite, and offers a health center featuring an indoor thermal pool and massotherapy treatments, both designed to relieve travelers' aches. • Concierge tip: For traditional Minas Gerais cuisine, dine at Dona Lucinha, which is dedicated to providing a culinary experience and ambience that preserves the flavor and food culture of colonial times. A popular stew on the menu is the Vaca Atolada, which features beef ribs and cassava. The fashionable Hotel Regina is a Belle Epoque gem located in the First Arrondissement, putting guests within walking distance of The Louvre, Comédie Francais Theater, and the Garnier Opera House. All of the property's 119 guestrooms and 15 suites feature views of the Tuileries Gardens or the tree-shaded courtyard. • Concierge tip: For guests that plan to have a late night on the town, La Poule au Pot, located a 15-minute walk from the hotel, is a great night owl spot that is open until 5 AM (a novelty in Paris!). The bistro serves old-school French fare, such as duck's leg cooked in fat, veal kidneys with mustard sauce, and raw minced steak. Set along River Limmat in the historic Lindenhof quarter, Storchen Zurich is a romantic 67-room hotel that claims a laundry list of famous guests such as Composer Richard Wagner. Guests who touch the mosaic of a black egg on the lobby floor will be blessed with good luck during their travels - a custom dating back to the hotel's opening days in the 14th century. 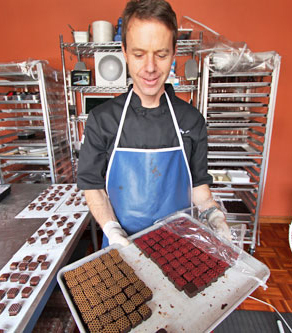 • Concierge tip: Travelers with a sweet tooth are sent to Honold Confiserie & Tearoom, a 100-year-old family-owned confectionary that combines traditional craftsmanship with innovative flavor combinations, serving fresh pralines, truffles, and a variety of cakes. With a global reach extending into more than 85 countries, Preferred Hotel Group represents more than 650 of the finest hotels, resorts, and serviced residences in the world. Preferred Hotel Group's brands include Preferred Hotels® & Resorts, Preferred Boutique™, Summit Hotels & Resorts™, Sterling Hotels™, Sterling Design, and Summit Serviced Residences™. Travelers gain valuable benefits through branded programs that include Preferred Residences™; Preferred Golf ™; the I Prefer™ Guest Benefit Program; Preferred Pride, a collection of TAG-approved or IGLTA-member hotels; and Preferred Family, a collection of hotels and resorts certified to provide a rich experience for travelers of all ages. For more information, visit www.PreferredHotelGroup.com and follow the brand on Facebook and Twitter.